It was unfortunate that a couple weeks ago, the man who epitomized Apple passed away. His uncompromising stand on perfection and innovation will, no doubt, still be carried on by those whose lives he's touched directly and indirectly. So instead of mourning the sunset of one, we'll focus on the joy of daybreak for another: our birthday boy of the week, my brother in law, Chris. 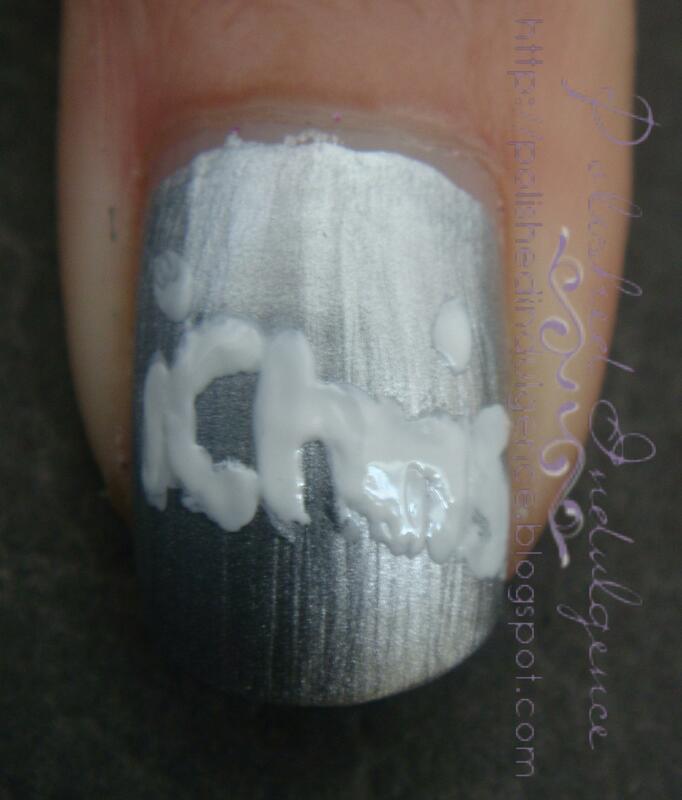 When I was brainstorming ideas for nail art that would best describe Chris, it felt very much like an uphill battle. He's a bunch of contradictions that it was difficult to pin point just one aspect of him to showcase. He likes to stand out and yet he embraces trends as they come. He's all for innovation but he enjoys vintage. And then it hit me. He is (most probably) the biggest Apple fanboy I know. Minimalist, shiny Apple inspired nails! This is the easiest nail art I've done so far. I hope you don't think it's a cop out, but I was trying to mimic the clean lines and minimalist feel of an Apple laptop. Mind you, getting that logo right was tricky! I also painted "iChris" on the thumb so it wouldn't look so plain. Obviously I don't own an iPhone & my iTouch was suspiciously missing when I took the photos. Yeah, this didn't come out straight..I need a more opaque white. It looks splotchy as I decided to forgo top coat so that I'd still have the brushed metal look of the silver. What's your take on Apple products? Do you think Apple will continue on their trajectory even without Steve Jobs at the helm? Posted by Carmela at 9:05 a.m.
Swatch And Learn October 19, 2011 at 1:26 p.m.
Great job on the Apple logo, and the "iChris" was a nice, personal touch. The only Apple product I own is an iPod, but I do think that they have a lot of innovative and fun products. It's just that my budgeting doesn't really allow me to splurge on their stuff. They always have such sleek-looking products - very minimalist. I think that at first, Apple will take a hit, but they will recover and then continue building their legacy of creating innovative products. Maybe there's a new visionary who will rise to the occasion? Carmela October 19, 2011 at 1:58 p.m. Thanks, Mary! :) It was the first time I did freehand, actually (did this before the Maple Leafs nails because it was the easiest of the birthday nails :P). Funny how the iPhone 4S is selling like crazy right now, never mind that everyone wanted the iPhone 5. I guess they're not really taking much of a hit. Marta October 19, 2011 at 2:05 p.m. ONTO THE NAILS... I absolutely love the base colour you used; it looks so incredible on your slender nails. And while very detailed, your minimalistic nail art is the perfect touch... that logo is fantastic! 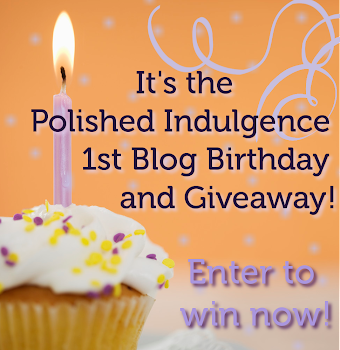 I really have been enjoying your blog! Carmela October 19, 2011 at 2:29 p.m. I did tell Mr. J about your husband getting you those Chanel polishes for your birthday in hopes he might take a hint for next year. ;) We're definitely blessed to have found such amazing partners, aren't we? Brittany October 21, 2011 at 9:39 a.m.
Carmela October 21, 2011 at 10:13 a.m.
Alena Baby September 10, 2012 at 1:01 a.m.
Biggest Fanboy is an understatement ahahha...maybe Shanikin should rock her nails for his bday this year! Carmela September 11, 2012 at 2:07 p.m.
Alena Baby September 12, 2012 at 1:20 p.m. Anonymous September 7, 2014 at 4:18 p.m.
learning the most effective methods. Anonymous October 18, 2014 at 6:34 a.m.